This April sees the launch of new series of Limited Edition Print Pop Up Shops at Keyes Art Miles, beginning with a superb selection of works from the acclaimed The Artists’ Press opening on April 4th. 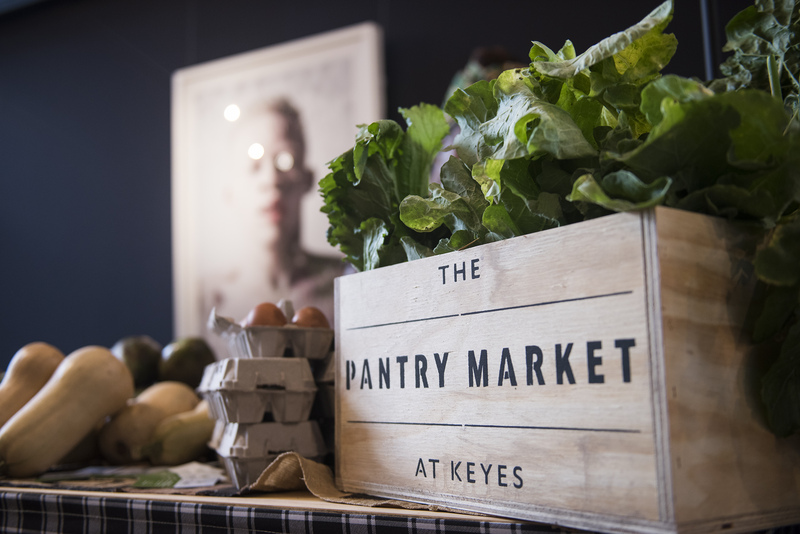 Building off the success of previous one-day Limited Edition Print Pop Ups that have taken place in Johannesburg over the past 6 years, the new venue at Keyes Art Miles enables the Pop Up to run monthly, over three days, in a popular and easily accessible arts precinct. 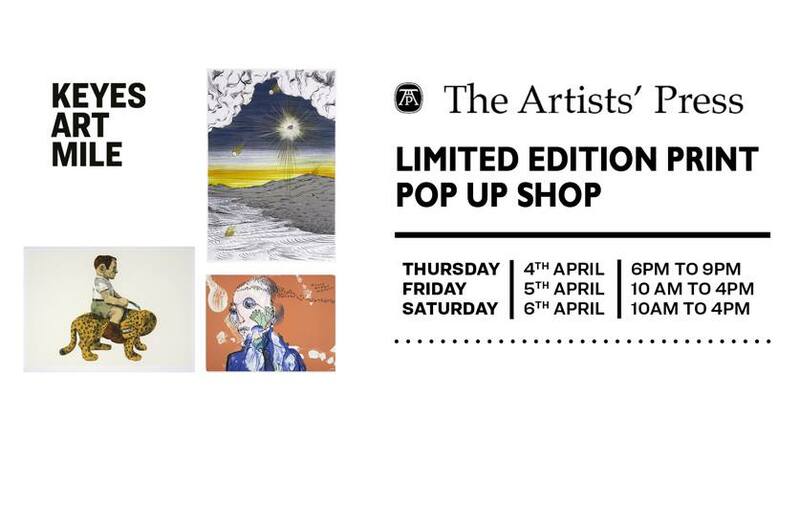 The Artists’ Press Limited Edition Print Pop Up opens on Thursday April 4th at 6pm as a ticketed event. It will then run unticketed from 10am to 4pm on Friday April 5th and Saturday April 6th. This gives art buyers ample opportunity to browse the excellently priced selection (prices range from R 345 to R 11 000) and add to, or start, their fine art print collection. An exciting element for print collectors is the focus by The Artists’ Press on younger artists – including Banele Khoza and Nina Torr. Fresh off a solo show at Zeitz MOCAA, Khoza’s first suite of lithographs published by The Artists’ Press saw him work on stone and grained film using a combination of pencil, litho crayon and ink and tusche washes. The results are a delight to the eye and the inclusion of Khoza’s works in the Pop Up is an opportunity to collect the work of an artist whose career is fast gathering momentum. A graduate of the Parsons School of Design, Torr is an artist and illustrator based in Pretoria whose seven solo exhibitions have seen her fast establish a reputation as a highly collectable artist. Torr’s print editions published with The Artists’ Press showcase her incredible technical skills and gift for making highly illustrative, suggestive and yet open-ended works. has worked with The Artists’ Press on several occasions (dating back to 1992) and, in 2018, this Order of Ikhamanga recipient returned to work on two smaller prints. Titled Talking to the past and Hoping for the future, the prints reflect on her family spirit animal – the fish. They are an excellent way for emerging art collectors – especially those with a sense of her important role in South African art history – to own Sebidi’s work. The Artists’ Press is renowned for its 28 years of limited edition original prints, with a particular focus on lithographs that are printed by master printers in collaboration with artists. The first artist who worked with The Artists’ Press was Norman Catherine and the April 4th Pop Up Shop features a selection of delicate, highly collectable new prints by this acclaimed South African artist. Another artist to be featured is Sam Nhlengethwa, whose series of lithographs, titled Waiting, are a poignant and affecting exploration of some aspects of the experience of waiting, South African style. Nhlengethwa will have a major print retrospective At WAM in 2019, featuring a large body of work created at The Artists’ Press, and the Pop Up Shop is an opportunity to purchase prints by this important artist. The Artists’ Press Limited Edition Print Pop Up also includes works by Willem Boshoff, FAITH XLVII, Walter Oltmann, Penny Siopis, Colbert Mashile and many other leading fine artists. The GIF IV artists’ book, containing limited edition prints by 26 artists that was produced in 2018, will be available for purchase. The Limited Edition Print Pop Up will form an integral part of the new Keyes Thursdays which gets underway in April. Keyes Thursdays will take place on the first Thursday of each month with the Limited Edition Print Pop Up running through till Saturday. The Artists’ Press Limited Edition Print Pop Up in April will include a free children’s monotype workshop on Saturday 6th April, giving youngsters the opportunity to experience printmaking for themselves. With a full bar available on Thursday evening and Bobo Crepes and Craft Coffee on site on Saturday, the Pop Up is a not-to-be-missed art experience for the whole family.